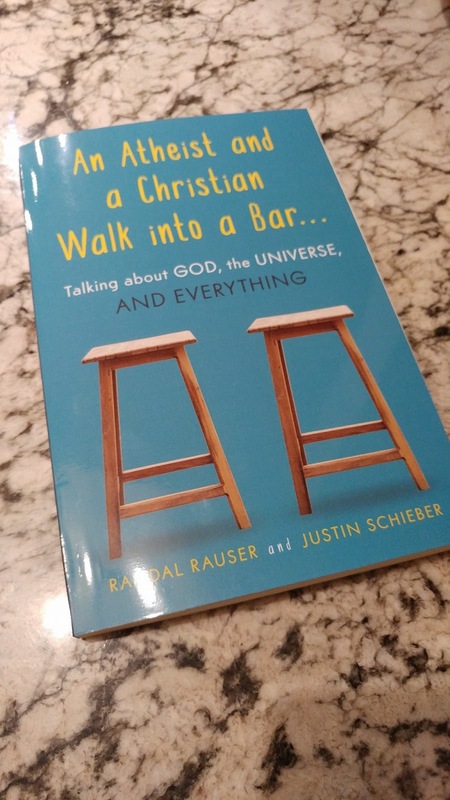 Randal Rauser was very kind to offer me an early copy of his collaboration with Justin Schieber, An Atheist and a Christian Walk into a Bar..., which I've been very much looking forward to reading. Because of its unique format, I'm not entirely sure how I'm going to go about reviewing and commenting on the book; I'm going to have to dig into it first. This is a different kind of book — a kind of book I wish there were a lot more of. It's a dialogue instead of a monologue, which to some extent will undoubtedly render superfluous my likely thoughts on some of Randal's arguments, because I expect Justin will be doing a fair bit of that heavy lifting. I don't necessarily expect to agree with Justin entirely either, of course, but it'll take some tact for me to choose which arguments I most wish to engage. What I hope to offer is not just a series of predictable objections, but thoughts on both interlocutors' approach and ways in which I think they succeeded or could have approached the dialogue differently. With the obvious caveat that I literally just unpacked the book this evening when I got home from work, I feel comfortable offering a provisional recommendation simply because I've been following both of these gentlemen for some time now, and they're both as erudite as one could hope for in their respective areas of expertise. In any case, I suspect I'll do a sort of walking review and commentary and engage with the book as I read it — taking care, of course, to choose my excerpts carefully so as not to spoil the meat of the content. It's late and I'm exhausted from a long day of work and weightlifting, so I'm going to have to start reading over the weekend.